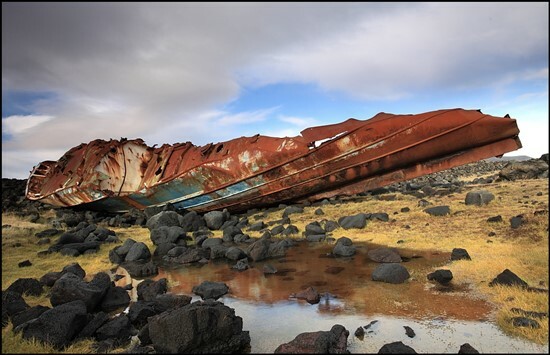 This is the remains of 103 Hrafn Sveinbjarnarson III GK-11 that stranded at Hópsnes, near Grindavík, 19 february 1988. 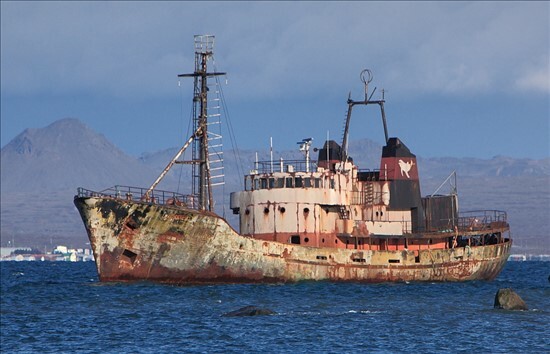 All the crew was rescued by the Icelandic Coast Guard. Hrafn Sveinbjarnarson was build 1963 in Ulsteinsvik Norway and rebuilt 1982.